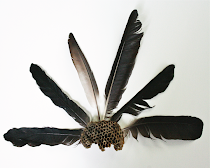 The Plumed Nest: Gift Guide: I Heart . . .
i love hearts : ) i love those bowls too, i think each time i look at them i love them even more. I'm kind of like you - not a huge fan of Valentine's Day. Reminds me of high school, not fun or memorable high school moments. These days we just usually "celebrate" it with dinner and wine - which can easily look like any other night. However, throw in those ceramic bowls and I just might be feeling a bit more festive at dinner this year! yeah, it just never has that vibe for me. i think i just crumble under pressure. i have the same reaction to my own birthday. Remember how we thought we were twins? Well, WE ARE! I have been having the same struggle with my 365. I have photos from the entire week, but haven't uploaded anything since last Saturday! And we have the same avoidance to folding laundry. I wish I had a genie to do that for me. Or a maid. Hopefully I'll conquer both tasks this weekend. I wish you luck, too! I avoid hearts, big time. I'm oddly sentimental. It's hidden, I think. I can be very mushy, but it's a soft underbelly. Hard to find, sometimes. That being said, I like most of what you have here. The hat? YES! The sweater? Oh, yes! And my 365? Going surprisingly okay. And the editing part is going better than I expected. I'm (so far) staying on it. And that's the the real surprise because I'm much like you and Erin when it comes to the laundry. I am not a big fan of Valentines day either and prefer to be surprised with flowers any other day of the year but even I can't resist cute things with hearts on them, I just have to buy them myself ;) The hat, sweater and the bowls are adorable! exactly! little surprises when i am least expecting them is what i love the most. i think your sentiment is spot on. 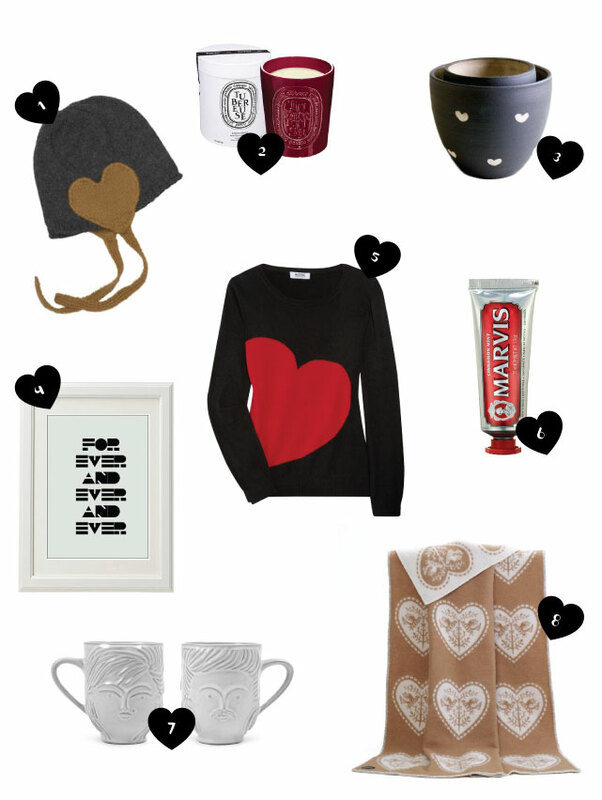 but like i said, i do love hearts and i really want that sweater! I love Valentine's day because my parents made it about celebrating everyone you love. So it's more of a family day for me. That being said I am super excited to finally have a romantic Valentine's day at the airport this year! I do like Valentine's Day even though we don't make a big deal of it. I love seeing all the various heart designs. mmmh, lovely selection!! diptyque candles are my favorite! Oh, thanks for sharing your Valentine's Day memories. It took me back, and I'm chuckling at my young self. When I was younger, I put a lot of pressure on boyfriends past to make V-day special. Now, I'm sort of indifferent about the holiday - I neither love it nor hate it. Which is why I can totally get behind your picks above. I never thought I would ever want something with a big ol' heart on it, but that sweater is lovely. Hope you're having a wonderful weekend, Christine. Oh no! Hope you manage to beat that cold with a big stick! I have never met anyone who truly loooooove Valentines (including me). I always refer to it as some "spontaneous affection on a pre-determined date". But even I can't resist anything with hearts!